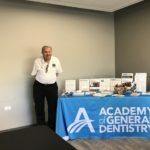 The Illinois Academy of General Dentistry’s “AGD Fellowship Exam & General Dentistry Reviewed Course” examined currently accepted knowledge, techniques and practices in general dentistry. 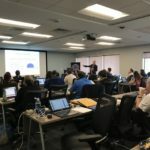 Thirty-four doctors attended this two-day fast paced lecture given by Larry Williams, DDS, MAGD, ABGD. This course refreshed their knowledge of the basic clinical information in the 17 areas of general dentistry covered in the Fellowship exam. Dr. Cheryl Mora presented, “Taking the Fellowship Exam: Myths and Facts to help prepare the doctors for the exam. Taking the AGD Fellowship Exam is one of the steps towards distinguishing yourself professionally by obtaining the AGD Fellowship Award. Achieving the Fellowship Award demonstrates a dedication to continuing education and life-long learning and only 7% of the general dentists in the U.S. and Canada have attained this award.